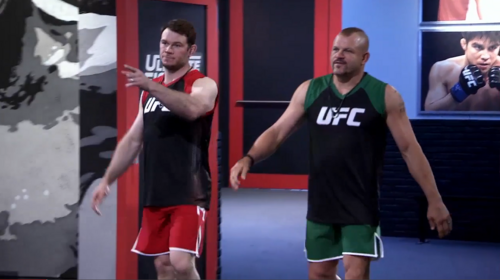 The Ultimate Fighter: Latin America returns with two Hall of Fame coaches! “Tigre” Flores, one of the greatest representatives of Bolivian MMA, seems calm and confident but it will not be easy to keep that attitude to face one of the favorites of team Liddel, Claudio “El Niño” Puelles, an expert in luta livre from Perú. Then, a confrontation delayed for months electrifies the Octagon; and things get out of control in the fierce stare down of the fourth preliminary bout. 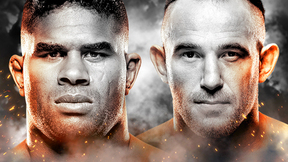 After a fierce confrontation which made Chuck Liddell intervene, the Venezuelan Ilianovich Chalo and the Mexican Miguel Villegas finally face each other for an action packed clash inside the Octagon. The second fight of the episode brings about a classical challenge between neighboring countries: two athletes with different styles confess their hardest experiences, and perform an intense fight with an impressive result. Plus, Chuck Liddell visits the house and gives a moving message. Nicaraguan Yasser Castillo reveals how the trials and tribulations in his life have given him the strength to compete inside the Octagon. Yasser uses this motivation when he faces Leo Rodriguez in one of the most exciting fights of the season. 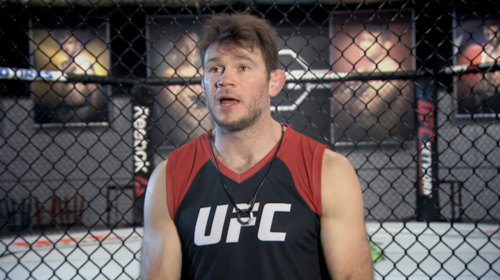 In addition, teams forget rivalry to enjoy together an exciting UFC Fight Night, an injury threatens the future of one of the athletes, and the second match of the episode ends unexpectedly. Two Mexicans with previous history touch gloves in the Octagon. Fabián Quintanar had refused, more than once, to fight against "Pato" Martínez, but this time nothing will stop the fight. The first challenge of the season tests the athletes' skills in unknown territory, and punishment for losers intensifies rivalry. The Quarterfinal match-ups are announced and one fighter is given a second chance in the competition. Peruvian Claudio Puelles faces a hard state of the mind crisis which makes him doubt whether to continue or not in the competition, just before fighting against the Mexican Pablo Sabori. On the other hand, Leo Rodríguez, from Mexico, and Walter Zamora,from Costa Rica, have to leave their friendship aside and focus on beating each other, if they want to advance to the semifinals. Plus, Team Griffin receives an exciting prize for winning the rowing challenge. In the third fight of quarterfinals, Mexican Martin "El Toro" Bravo, a wrestling expert, faces Venezuelan Ilianovich Chalo, a jiujitsu black belt, dangerous with his fists. 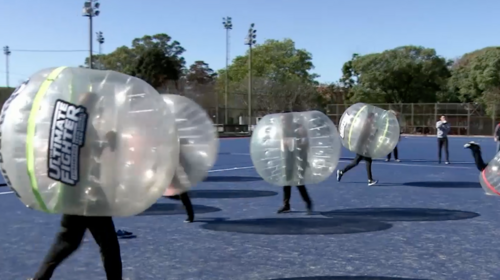 In the second challenge of the season, teams leave the gym to participate in a bubble soccer competition, an unorthodox version of the classic Argentine sport. In the last quarter-finals fight, the Colombian John Bedoya, who has a second opportunity in the Octagon, faces the Argentine Marcelo Rojo, who won his place by beating Juan Villaseca in the preliminary fights. Plus, the fighters share their know-how with a group of young box trainees, and enjoy the visit of an expert in Japanese cuisine who will teach them how to make sushi with their own hands. Leo Rodríguez and Martín Bravo built a friendship training together in Mexico, but they have to leave it aside in order to advance to the great final. A confrontation of strength against agility that will bring out the best of each of them. 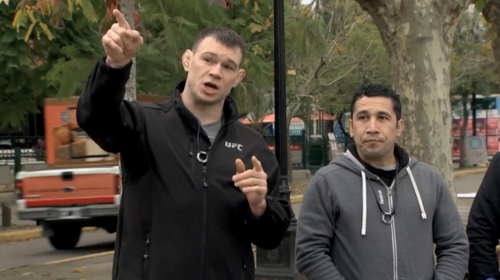 Plus, MMA stars Demian Maia and Yair Rodriguez arrive at the gym to help semifinalists during their last training sessions; and the teams go out to live a night of fun in Buenos Aires. It's time to say goodbye for the sixteen Latin American athletes who left their heart in this competition. Two of them, however, still have a pending issue: fighting for the vacant place to face Martín Bravo in the big final. Marcelo Rojo is ready to win, while Claudio Puelles must overcome his own ghosts before going into the Octagon. A clash of styles and personalities from which only one will get out as the winner.